On January 4, 2016 the Santa Rosa County Board of County Commissioners passed Resolution No. 2016-04, a sanitation tipping fee increase from $32 per ton to $40 per ton over a period of 5 years. As a result, the Milton City Council is considering a sanitation tipping fee increase. If the city ordinance is passed, this rate increase will effect city customers beginning November 1, 2016. For city residential customers currently paying $16.30 a month for one can, if passed, the rate will increase $0.39 cents to $16.69 on November 1. The tipping fee increase also applies to commercial accounts. The resolution also increases tipping fees each of the next 4 years beginning in 2018. 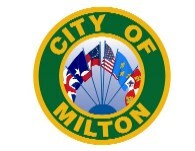 “Tipping fee increases directly increase City of Milton sanitation franchise expenses,” said George Rials, public works director. “Accordingly, these increases will be reflected in our sanitation rates,” he said. September 29, 2016 will be the first reading of the ordinance and the second reading will be October 11, 2016 for the Milton City Council. The Santa Rosa County Central Landfill is owned and operated by Santa Rosa County. All waste and refuse generated in Santa Rosa County, including municipalities, must be properly deposited in the central landfill. The county increase began April 1, 2016. If passed, the city increase will begin with the new fiscal year, November 1.